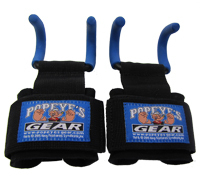 Heavy-duty adjustable wrist straps for strength training. Adjustable velcro closure customizes fit around the wrist. Lined with shock-absorbent neoprene padding which enhances stability. Secure grip with coated steel hooks. 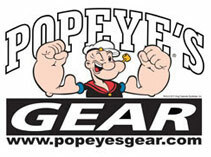 One size fits all, transfers weight to arms, shoulders and back, takes the burden of heavy weight off your fingers.